RateGain Technologies, the market leader in data and intelligence solutions for travel and hospitality industries, today announced its integration with Google Reviews, a development that would allow all hotels using BrandGain to instantly view and respond to any guest feedback appearing on Google Reviews. The collaboration would enhance the overall efficiency of partner hotels, who would now be able manage their online reputation even more efficiently in a hyper-competitive environment of today. The first round of feature implementation has been done for our clients and the feature has been warmly welcomed. Adds Apurva, “The primary goal of BrandGain is to offer hotels a holistic view of their guest feedback and help them manage their online reputation in the best possible way. Today, BrandGain seamlessly integrates with all the prominent review platforms, and we have undertaken an important step by associating with Google Reviews. 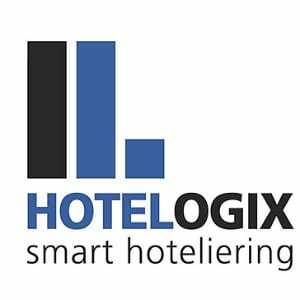 This would not only enhance the efficiency of the hotel using BrandGain, but would also allow them to increase their visibility and ranking all across. BrandGain is RateGain’s online reputation management solution for hotels which operates primarily through a SaaS model. It extensively tracks guest reviews and feedback from over 120 channels and brings all of it on a single platform. The information enables hotels to improve their guest experience and further enhance their productivity.BrandGain is already integrated with all the primary review platforms like Google, Expedia, Agoda, Traveloka, TripAdvisor, Booking, Orbitz, Yelp, Hotels.com, FourSquare, and Ctrip..